As a DJ, producer and label owner, it's been a big few months for Stacey Pullen. The Kosmic Messenger has enjoyed a strong season in Ibiza so far, holding down a residency at Marco Carola's fledgling Music On night at Amnesia, and joining Luciano and the Vagabundos crew to smash it at Ushuaia, with another party at Pacha to follow. Stacey: "It's great to be back playing on the island this year with quality parties and quality DJs. My residency at Music On with Marco Carola has been amazing so far. Playing with Luciano at Ushuaia is always a treat because of the strong brand and the love that they show me with one more to go in September at Pacha." Stacey's imprint Blackflag Recordings has also returned with a vengeance, as the Detroit legend revived the label he first initiated way back in 1998. The first release of 2012 saw Pullen's own 'Circus Act' become a bona-fide favourite, receiving support by Pete Tong on BBC Radio 1 and peaking at #21 on Tech House charts, while Nic Fancuilli's mix reached #6 on Tech House charts and #25 overall. 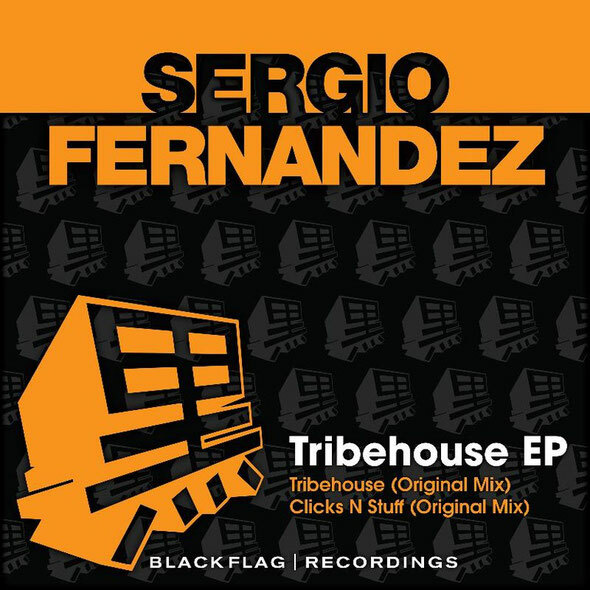 BFR008 is due to land in a couple of days and comes from rising Spanish DJ/producer Sergio Fernandez with his Tribehouse EP. For more info, check HERE.